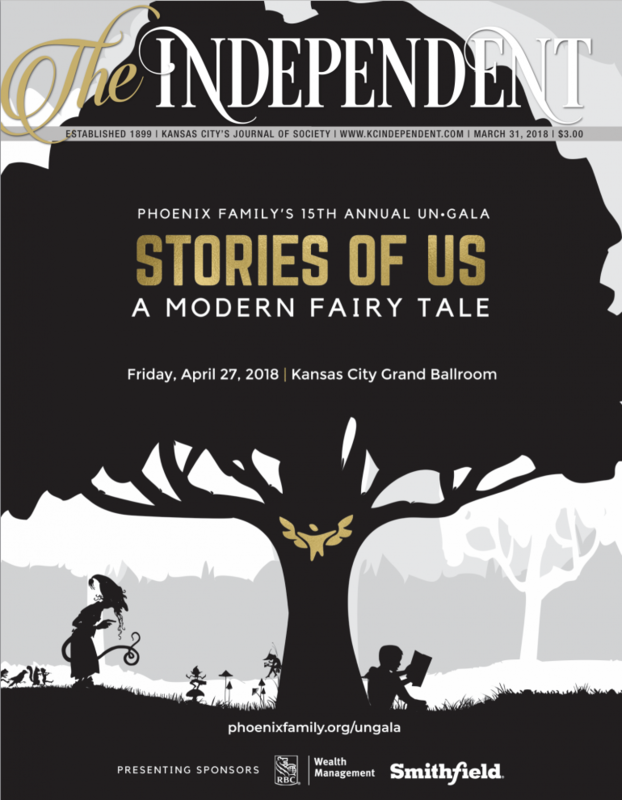 Our readers turn to The Independent for news about their community and to stay informed and abreast of the myriad of balls, galas and non-profit events that happen in Our Town every year. Our pages are filled with photos of the people who participate in our community through their support of the arts, area cultural institutions, local and national non-profit organizations, and fundraising events. They are the people who leave their mark on the City through their volunteer efforts and their philanthropic support. They give our City its heart and soul. Readers are also given an opportunity to read about entertainment and dining and to keep up with the lives of their friends and neighbors. They also have a chance to support advertisers who, by including The Independent in their advertising plans, target the needs and wants of influential, active and civic-minded citizens. Subscriptions carry the publication across the nation and to many points overseas. In the Greater Kansas City area, The Independent is delivered to paid subscribers by mail and is available at Barnes & Noble on the Country Club Plaza and at Town Center. Pass-along readership is substantial because The Independent is frequently read by several members of a household and their friends. Additionally, a large number of the subscribers are professionals, so many copies find their way into the offices of doctors, dentists, lawyers, and members of corporate and non-profit boards of directors. More than 27,000 people read The Independent every two weeks. The Independent was established in 1899 by George Creel, who became a nationally known writer, and Arthur Grissom, founder of Smart Set magazine in New York. Initially, The Independent had a strong political flavor, reflecting Mr. Creel’s opposition to the turn-of-the-century faction led by James Pendergast. Politics discreetly dropped from the Magazine’s pages in 1909 under the new ownership of Katherine Baxter and Clara E. Kellogg of Kellogg- Baxter Printing Company. Mrs. Gleed Gaylord, the former Martha Nichols, acquired the journal in 1939, becoming owner, publisher and editor, as well as president of Creel Publishing Company. She had worked on the editorial staff of the Magazine under Katherine Baxter and Clara E. Kellogg for a decade prior to acquiring it. Mrs. Gaylord sold The Independent to Robert P. Ingram, Jr. in 1983, and Laureen Ingram, Mr. Ingram’s daughter-in-law, purchased the Magazine from him in 1996. The current publisher, Rachel Lewis Falcon, acquired the Magazine in 2017. What types of features do you publish in the magazine? Where can I subscribe to The Independent? Where can I pick up a copy of the magazine? Additional copies are available at our office here in Westport. Each issue is $3.00. Postage and handling rates apply. Email Laura Gabriel at Laura@kcindpendent.com with questions. Back issues are available for one year after publish date at our office here in Westport. We are located at 2400 W 75th Street #120 Prairie Village, KS 66208. We are open 9am to 4pm Monday through Friday – except Holidays. How do I submit something for the magazine?